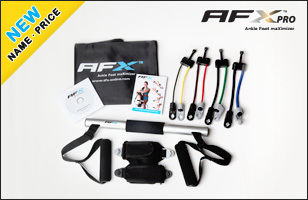 DETAILS: Your AFX comes with 2 resistance sets (medium & high), a 30 minute instructional video, instructional poster & carrying bag. In addition we provide comprehensive online videos, training programs, & with your AFX purchase you can arrange for a FREE, one-on-one internet video training session with one of our team. 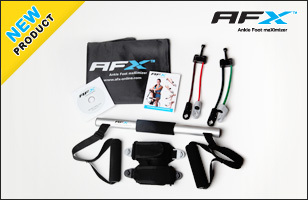 DETAILS: Your AFX Pro comes with 4 resistance sets (low, medium, high & performance), a 30 minute instructional video, instructional poster & carrying bag. In addition we provide comprehensive online videos, training programs, & with your AFX purchase you can arrange for a FREE, one-on-one internet video training session with one of our team.